Hybrid selection is one of the most important management decisions a corn grower makes each year. Corn growers are confronted with the difficult task of selecting three to four hybrids from approximately 100 varieties offered by more than 20 companies. Significant effort is required to sort through the confusing array of numbers and yield. To simplify hybrid selection, the process may be divided into eight steps that generate intelligent hybrid selections and increased corn profits. 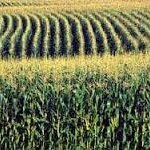 Step 1) Analyze the role of corn on the farm. Pinpoint special corn hybrid traits needed in an operation. Do you have a market for grain or silage? Are fields plagued with viral diseases or gray leaf spot? Do billbug problems and no-till demand that hybrids grow off quickly? Priorities should be written down! Step 2) Ask for product information describing the agronomic traits (yield, standability, maturity, disease ratings, grain quality, seedling vigor, etc.) of hybrids grown in local tests. Attend meetings where seed suppliers describe the strengths and weaknesses of their products. Step 3) Obtain hybrid data from independent sources. Call your Cooperative Extension agent and ask for N.C. State University’s statewide corn variety testing results. Growers should also ask for the results of any county tests involving hybrid comparisons, as well as, a summary of state and local yield contestsand make a list of those hybrids that consistently rank among the best performers. Step 4) Discuss corn hybrid performance with seed dealers, grain buyers and fellow farmers. Everyone has strong opinions about corn hybrids. As they encounter tales of super hybrid performance and failure, growers should not give great credence to individual comments. However, when several experienced corn people observe that, “Every stalk was standing!” or “It grew off extremely fast!”, growers can gain much insight into hybrid performance. Step 5) Make a list of hybrids that appear repeatedly at the top of yield comparisons and yield contest summaries. Growers should strive to identify hybrids that perform well under diverse management regimes on numerous farms. Good hybrids will not always win yield contests and comparisons but they will appear among the leading entries. Hybrid performance may vary with seasonal conditions and soil types. Growers should be wary of newly introduced hybrids that may perform atypically in their first year of availability. Step 6) Eliminate from the list those hybrids that do not meet the special requirements of your operation. Remember the special farm needs written down in Step 1! 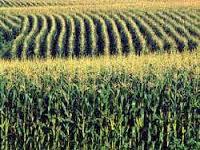 Corn producers should use notes taken at company-sponsored meetings, any hybrid literature obtained (Step 2) and information gathered locally (Step 4) to cull hybrids from the list that are not suited to their style of corn farming. Step 7) Choose from the hybrids remaining on your “short list”. Corn producers should review their information and notes to ensure that they have selected hybrid maturities that adequately spread their harvest.